According to history, Black rice originated in Asia having said that it was cultivated from China around 150 BC. 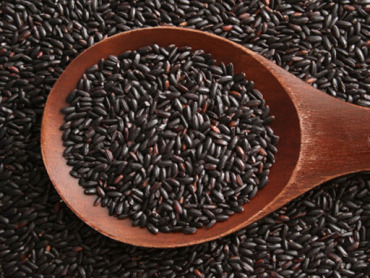 In ancient times, black rice was regarded as “Forbidden Rice” mainly because way back, this rice was only for royalty. Regular people like you and me, are not allowed near this royal rice. One who consumes it without approval from the authorities could be put to death. Yes, that’s how royal this rice was before. They believed that it has something ‘super’ about it that would help them lengthen their lives, thus, lengthen their reign. And true to its history, it must really have something about it that preserves the emperors lives for recent studies shows that black rice is rich in anti-oxidants, much more than blueberries which are famous for their anti-aging properties. Nowadays, black rice is not so forbidden anymore. Royals and the regulars can now enjoy its health benefits without one being hanged or put to death. Even chinese people themselves don’t eat much of it nowadays, and if they do they only eat it on very rare occasions. But before I go on any further, let me discuss first the differences between white rice and this amazing colored rice. Rice for most Asians, is a staple food. White rice, is the most common type that we (Asians) mostly use. However, white rice may not be the best when it comes to diet and nutrition. 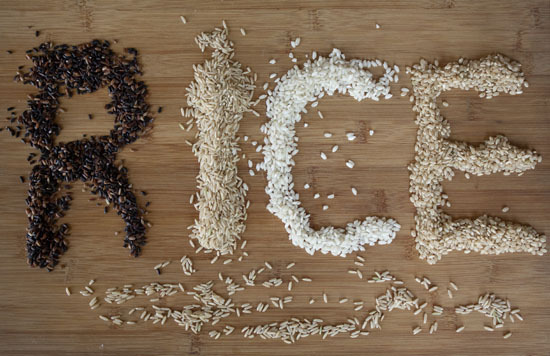 Just as it was mentioned above, white rice loses much of its nutritional value in the refining process. In the process, the husk, bran, and germ are removed which helps alter its flavor, texture and appearance which also helps prevent spoilage and extend its storage life. However, important nutrients in white rice are removed including B1, B3 and iron. Apart from that, white rice is relatively fiber free. Because of this, white rice is digested rapidly. Meaning, even if you eat a large amount of this rice, you will still soon feel hungry again which causes you to snack, and which would likely lead to weight gain. Black rice on the other hand, AH-MAH-ZING as it claims to be, would be the best choice when it comes to diet, health, and nutrition. First, black rice is Rich in Fiber. According to my research, black rice is only partially milled, which helps remain its fibrous parts. Of course we all know that fiber is important. It acts as our cleaning agent which helps our colon free from toxins, cholesterol, and other unhealthy stuff that we digested. 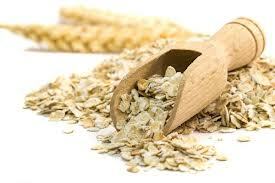 In addition, fiber is slow digesting. Which means that it will help you feeling full and will prevent you from snacking, thus, reduces your chance of weight gain. Well, One cup of cooked white rice contains around 205-241 calories. While Black rice only has 160 calories per cup, lower than brown which has 185-216 calories. This is a huge difference if you are concious about your weight, I think you can burn 81 calories difference in the treadmill for 15-20 minutes with 7.0 speed. So if you are interested in weight loss, black rice of course is your best bet. You can eat as much as you want, without going beyond your calorie budget for the day. Final Note: Black rice does provide many benefits including prevention and treatment of some serious ailments. Even brown and red rice are pale in comparison to its health benefits. Of course, it won’t be called a ‘super food’ for no reason. In my experience, I can say that black rice really is a good choice in diet and nutrition. I can eat as much as I want without having the guilt feeling of eating too much. Haha! The only downside that I see with this rice is its much more expensive than the ordinary rice. In the Philippines, its around 2-3x the cost of an ordinary white rice. Another thing about it, it much more chewey compared to white rice. But in my case, I liked it better. Or maybe i’ve just gotten used to it. Haha. You can try mixing white rice to your black rice if you think that it tastes weird or if you’re not comfortable with its color. Here’s a simple BLACK RICE RECIPE to start with. Bring the water to a boil with the rice added in a medium saucepan. Cover and simmer 45 minutes over moderately low heat or until tender. . In a medium skillet, cook the onion , garlic and butter over moderate heat until limp. Stir in the cooked rice, add a dash of salt and/or pepper, and cover on low. Add the shrimp,1/2 teaspoon of the rosemary; season with salt and pepper to a wok or large skillet with vegetable oil. Cook on medium heat on both sides until white, then remove to a plate. On medium high add the olive oil and.1/2 of the squid and 1/4 teaspoon of the rosemary; seasoned with salt &pepper. Cook until squid is firm, (very fast); then remove to a plate; repeat the process for the remaining squid. Add the wine to the used skillet and heat for around a minute. Add the tomato sauce and the seafood; heat throughout. Serve shrimp, squid and sauce atop a Black Rice pilaf. Genesis 1:29 And God said, “Behold, I have given you every plant yielding seed that is on the face of all the earth, and every tree with seed in its fruit. You shall have them for food.